I hope you don't mind me wanting to help my friend Bob. I meet him when he was the Chairman of the TN Democratic party, I wanted to ask him for help in finding avenues to integrate Latinos into the political process. He was ready to go, he came up with great ideas and immediately offered his help to make it happen. He helped create the Middle TN Hispanic Democrats, and has been a member ever since. Bob is a good man, he has served our country and community, and now I am asking for your help to elect him in the coming Democratic Primaries. Early voting is going on now. Fabian Bedne has been featured various times on HispanicNashville.com as a board member of Habitat for Humanity, founding member of the Middle Tennessee Chapter of the National Association of Hispanic Real Estate Professionals, president of the Tennessee Hispanic Voters Coalition PAC, founding member and president of the Middle Tennessee Hispanic Democrats, candidate for Metro Council, and member of the executive committee of the Davidson County Democratic Party. "Our part to help ensure the success of the next generation of Latino leaders"
Nissan North America, Inc. announced July 30 that it has contributed $50,000 to the Hispanic Achievers -- a program of the YMCA of Middle Tennessee. This will mark the second year Nissan has partnered with the local non-profit contributing a total of $100,000 to date. "Nissan is proud to support the Hispanic Achievers Program in its efforts to help the Hispanic community reach educational success," said Stephanie Valdez Streaty, senior manager, Philanthropy and Diversity Communications, Nissan North America, Inc. "It provides us an opportunity do our part to help ensure the success of the next generation of Latino leaders who will positively impact and improve our communities." The Y-Hispanic Achievers Programs help children, youth, and adults in the Hispanic community achieve their educational goals and better their lives. The program has achieved much success with its high school program, which has a 100% graduation rate with half of its participants moving on to college. "Receiving support from a company of Nissan's stature speaks volumes about its commitment to the community. Nissan's generous contribution will help the Y-Hispanic Achievers Program make a greater impact on Hispanics' lives," said Jessie Van de Griek, Harding Place YMCA Community & Volunteer Development Coordinator. "We're thrilled that Nissan shares our commitment to education, and this partnership will have a lasting impact in Hispanic communities across Nashville. We deeply value the support that the Nissan family has provided our efforts." The Y-Hispanic Achievers Program also seeks to direct families on the right path, looking for ways to develop strong academic and educational foundations, to discover their cultural identity, and to establish leadership roles among its participants. Nissan recognizes the numerous strides that the Y-Hispanic Achievers Program has made since its inception in 1992. The Hispanic Achievers Program is part of the YMCA of Middle Tennessee, YMCA of Middle Tennessee, a not-for-profit, worldwide charitable fellowship united by a common loyalty to Jesus Christ for the purpose of helping persons grow in spirit, mind and body. With 30 centers and 253 program locations, the YMCA reaches 278,328 lives-1 of every 6 people in the 12-county area it serves-through membership, program participation, volunteerism and philanthropy. The YMCA builds strong kids, strong families, and strong communities. When at least 90 Hispanic students disappeared from Robertson County classrooms last winter, school administrators worried. If the children, about 11 percent of the total Hispanic student body, didn't come back right away, they'd be too far behind to succeed on spring achievement tests. School leaders didn't know if they would turn up the day before the tests, unprepared but counting toward countywide performance anyway. In the high-stakes world of the federal No Child Left Behind law, every group of students needs to pass. The fears weren't realized. Most of the students, who left over fears of immigration raids, came back in time to get ready. The original story about the disappearance of the students, who represented about 11% of the overall Hispanic student body in the county, is here. 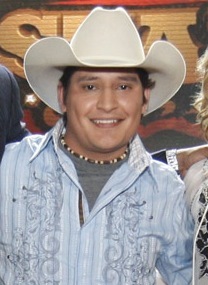 Gabe Garcia made it into the top 3 of Nashville Star in last night's elimination episode. Next week's season finale will determine the winner. A video featured Gabe returning to his hometown of Lytle, Texas, where a crowd including a mariachi band met him at the airport, an extravagant-for-Lytle parade culminated in the mayor awarding Gabe the key to the city, and a crowd of 10,000 came out for an evening concert. All the judges had good things to say about Garcia. Judge John Rich pointed out how Garcia could be - or already is - something special for country music: a bridge to Hispanic fans. No matter what the results are next week, Garcia will be on the Nashville Star tour this fall. The Hispanic Nashville Notebook hosts a job site called the Workbook, but it is not the only Hispanic or bilingual employment listing in Middle Tennessee. Franklin's Latin Market Communications circulates a monthly job listing in the bilingual paper Que Pasa and also makes the list available by e-mail. The July 2008 Que Pasa jobs are below, including a Metro job requiring Spanish (if this job's use of Spanish is discretionary and considered "official" communications, would a proposed Metro charter amendment* outlaw the bilingual part of the job description?). Two other jobs that have come to my attention lately are the voice talent opening below, and the next job for a bilingual teacher at First Steps. Recording studio in Nashville specializing in audio for corporate phone systems is looking for Spanish-speaking professionals to expand our freelance voice talent roster. Experience helpful but not a requirement. Prefer neutral accents if possible, and fluent English is always a plus. E-mail voiceover0807@hispanicnashville.com for more information. * BS in Early childhood education, Special education or related field. 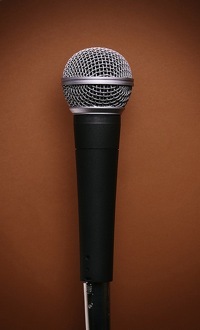 * Have written and oral presentation skills in English and Spanish. * Knowledgeable about working with children from 0 to 3 years old and families in natural environments. * Knowledge of Microsoft word-excel and the internet need it. * Early intervention teachers will be required to visit children with disabilities or delay and their families in their homes to provide them with specialized instruction. * Salary is dependent upon education and experience. We're going to be posting an opening for a clerical position that will help us with medical interpreting scheduling and tracking which interpreters are where at any given time. This person will need to be available to answer a phone line at all times during the work day so won't have other duties like answering client lines, filing, copying, etc. The person will have a desk in the front lobby. If you know of someone who might be a fit for our organization and is very good at organizing, phone etiquette, and keeping track of folks, please have them send in a resume to Dranda Whaley (fax 615-313-9242). Looking for a few P-T bilingual sales associates for growing Hispanic marketing and PR agency and bilingual paper. Must be completely bilingual in addition to having a very outgoing personality. Responsibilities include acquiring new prospects for the business, making presentations, meeting with leads, sending out company information, following up. Must be a self-starter, be able to work without supervision and stay focused, proven ability to network and build rapport, good understanding of the Hispanic market, negotiation and closing skills, solid sales presentation and communications skills. You must have your own computer and telephone. If you are a shy and sensitive person this position is not for you. Only serious inquiries please. Send resume and 3 references which do not include family to eva@latinmarketcommunications.com or call 615- 599-0045. The City of Franklin Solid Waste Department has a vacancy for Administrative Secretary, Responsibilities, generally, include answering multi-line telephone; greeting and assisting visitors; providing assistance and information related to department services, procedures, forms, fees, or other issues; compiling/organizing department work orders or service requests; dispatching solid waste pickup routes, monitoring two-way radio and assisting in scheduling service, etc. HS diploma or GED required, supplemented by vocational/technical training in personal computer operations, with minimum of three years previous experience and/or training involving secretarial work in assigned area; or any equivalent. $14.41/hour, plus excellent benefits. Obtain application online at www.franklin-gov.com or from HR Department, City of Franklin, PO Box 305, 109 3rd Avenue South, Franklin, TN 37065, tel. 615/791-3216, e-mail tracyh@franklin-gov.com. 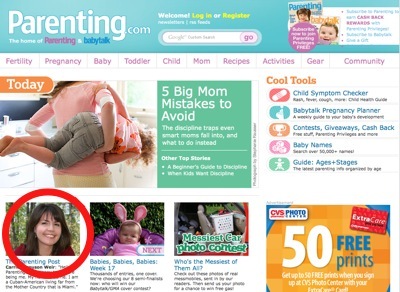 Get paid for helping families solve financial problems. High earnings potential. Set your own hours. No experience required. For more information, call Raphael Molina @ 533-1471 or 865-6725..
Tractor Supply Company, the country's largest farm and ranch retailer, is seeking a Bilingual Help Desk Team Member for the Store Support Center in Brentwood, TN who will provide support to all Tractor Supply Company Store Associates. This support includes assistance with issues pertaining to IT software and hardware issues and any store operational or procedural questions. In addition, the team member will provide service over the phone to store team members who require assistance communicating with Spanish-speaking customers. This team member should have a high school diploma and demonstrate strong problem solving and organizational skills. Approximately 3% of the team member's communication will occur as Spanish-speaking interactions. Candidates should be fully proficient in English and Spanish. Please send resumes via email to careers@tractorsupply.com and list "Bilingual Help Desk" as the heading for the email. The City of Franklin, TN is accepting applications for Police Officer. Must have HS diploma or GED. 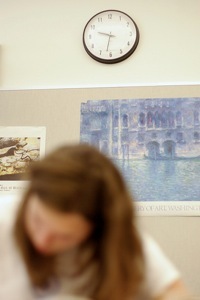 Prefer 60 semester hours at accredited college or university with at least 2.0 GPA on 4.0 system. Applicants must be: eligible to become P.O.S.T. certified, at least 21 years old at time of selection, eligible to become licensed & qualified to operate firearm, eligible to possess TN drivers license, & free from felony convictions & misdemeanors involving honesty, moral turpitude & habitual use of drugs/alcohol. . $16.20/hr, plus excellent benefits. Obtain application online at www.franklin-gov.com or from HR Dept, City of Franklin, PO Box 305, 109 3rd Ave S, Franklin, TN 37065, tel. 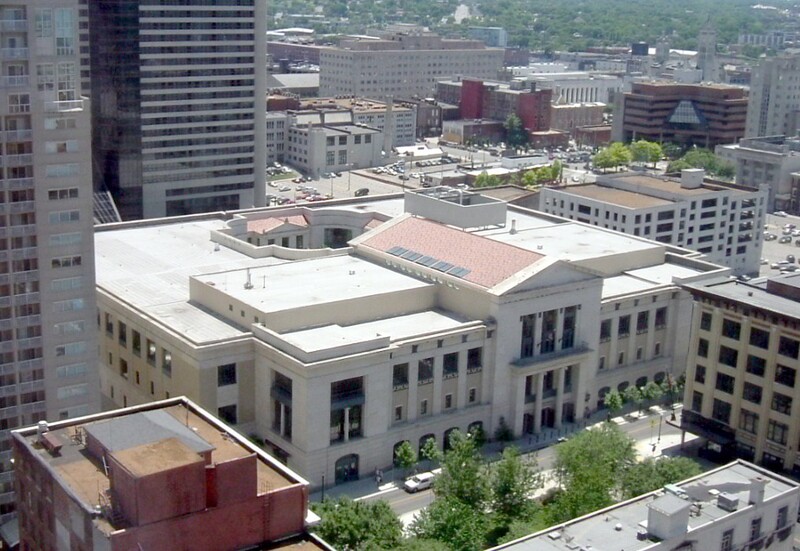 615/791-3216, fax 615/791-3297, e-mail tracyh@franklin-gov.com. The City of Franklin has a vacancy for Custodian. Responsibilities, generally, include a variety of housekeeping and custodial tasks, such as cleaning City Hall Administrative offices, restrooms and kitchens; watering plants inside and outside City Hall; running errands and maintaining stocks of housekeeping. Minimum Qualifications: Junior High School diploma required. $12.03/hr, plus excellent benefits. Obtain application online at www.franklin-gov.com or from HR Dept, City of Franklin, PO Box 305, 109 3rd Ave S, Franklin, TN 37065, phone 615/791-3216, fax 615/791-3297, e-mail tracyh@franklin- gov.com. Local Tower Company looking for a Lead Tower Tech. Driver License and experience required. The Lead Tower Tech will be responsible for a crew. For more details or to apply for the job contact abcomm@bellsouth.net. Compensation: Hourly rate depends upon experience. Plus a weekly payment of $500.00 per Diem. Kellermeyer needs to immediately hire retail store cleaners in Macy's stores in the Nashville malls - Rivergate , Cool Springs , Bellevue. We have morning 6 am to 10 / 11 am and 4 pm to 9 pm times available to work 6 days a week in a great environment . Wages will range from $7.75 and up based on experience (average is $8.00) Available are (4 ) in COOL SPRINGS, (2) in RIVERGATE , and (1) Supervisor (this one $9.00) in BELLEVUE. In the future we will have Green Hills and Hickory Hollow . Basic English is preferred for your safety and training - please let us judge your communication . These should be long term positions based on attendance and performance . To apply please call 615 509 5371 OR email to admbkwood@comcast.net AS SOON AS POSSIBLE to complete an application - bring your ID and Social Security cards . We try to rotate Sundays between employees. The City of Franklin has a vacancy for Enterprise Applications Manager. Responsibilities, generally, include having extensive knowledge of, & sharing expertise with designated departments on, the following Enterprise applications: Hansen, Cashiering, Utility Billing, Property Tax, Business Licensing, Water Miscellaneous Applications & Wastewater Miscellaneous Applications; guides & assists users on issues related to design, development & deployment of mission critical systems; communicates procedures within the functional application areas; maximizes capabilities & functionality of the system business units; etc. Minimum of three to five years of systems experience in Microsoft Applications. Associate's degree in Computer Science, Bachelor's degree in Computer Science, or Professional Certification. Obtain application online at www.franklin-gov.com or from HR Dept, City of Franklin, PO Box 305, 109 3rd Ave S, Franklin, TN 37065, phone 615/791-3216, fax 615/791-3297, e-mail tracyh@franklin-gov.com. The City of Franklin, TN is accepting applications for the position of Staff Engineer I. Responsibilities, generally, include performing engineering support to the city engineer in collecting & analyzing civil engineering data, reviewing engineering criteria for various types of plans & administrative work involved in departmental activities, as well as producing & maintaining maps & related files, & acting as technical resource for various departments, agencies & other groups. Bachelor's degree in civil engineering with two years experience in civil engineering. Engineer Intern (E.I.) registration preferred. Obtain application online at www.franklin-gov.com or from HR Dept, P.O. 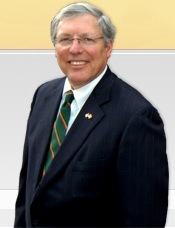 Box 305, 109 3rd Ave S, Franklin, TN 37065, phone 615-791-3216, fax 615- 791-3297, e-mail: tracyh@franklin-gov.com. Labor Ready. Assist new applicants with the employment process, answer questions and qualify potential temporary employees for eligibility to work. Must have valid Drivers License and a car . One year of college or technical training preferred. Strong computer skills, bilingual skills a plus. Excellent benefits package with company matching 401K, tuition reimbursement, college savings fund, medical/dental/vision and prescription assistance. $11/hr. Full time. visit the Employment page on www.laborready.com. Express Employment Professionals. Must be fluent in Spanish/English. Processing reimbursement requests for local drivers. Looking for someone who is self- motivated, has reliable work history, and has at least 2 years general business experience. Temp to hire opportunity. Contact Beth Stumbaugh www.expresspros.com. The CSI Companies. This positions requires being on the phone 95 percent of the day calling on past due accounts. This position collects on property owners that have delinquent credit balances. 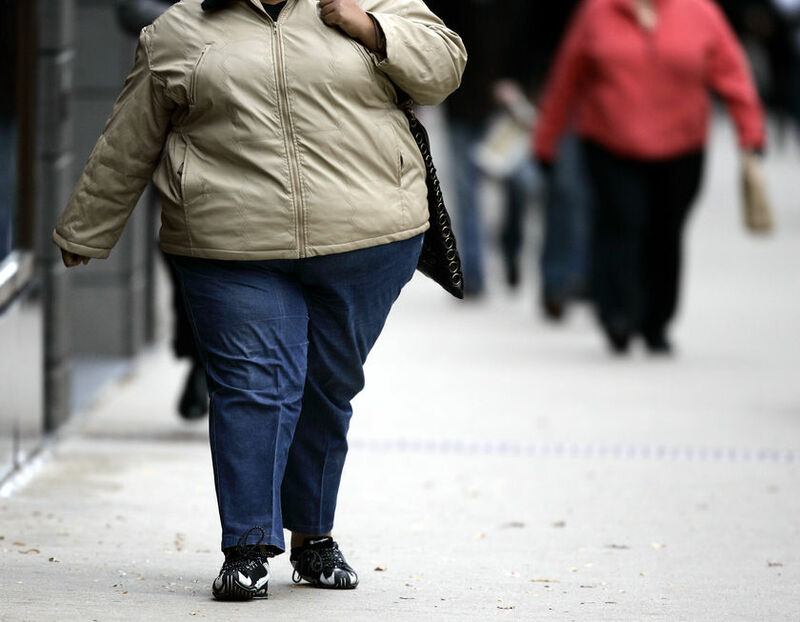 Must have a great sense of urgency, be self motivated and have thick skin at times. One year of collections experience, bilingual in Spanish is a huge plus. $12-14/hr. Call 904-338-9515. Nashville. George S. May International Company- Management Service. 65K-85K a year. Bilingual French and Spanish individuals encouraged to apply. Developing, recommending and implementing business improvements and organizational change for owners, presidents and senior managers of small and medium size businesses in all types of industries. MBA Degree or 10+ years of business and management consulting experience required. Accounting systems (Quickbooks, Peachtree) knowledge required. Proficiency in Excel. Travel required. LATIN MARKET COMMUNICATIONS is not responsible for the accuracy of information provided. *The relevant language in the proposed charter amendment is, "[A]ll official government communications and publications shall be published only in English." Who decides what "official" means? Who decides what "communications and publications" means - i.e. is a verbal communication in another language forbidden if the verbal communication is not "published"? Photo by Louis du Mont. Licensed under Creative Commons. Country music's new Hispanic voice? The last automatic finalist of the night was Gabe Garcia, who is singing a song called “Lost Weekend.” The song is extremely nostalgic, sentimental, about a couple trying to relive their past, reignite the spark they used to have. It's either poignant or horribly shlock-y – I can't decide. It's got a funky little vibe, and the chorus is somewhat catchy. Sounds exactly like something you'd hear on country radio. The judges enjoy it, but Rich tells Gabe to really improve his connection with the audience. The other three remaining finalists are Coffey Anderson (Bangs, TX), Melissa Lawson (Arlington, TX), and Shawn Mayer (May City, IA). Garcia is from Lytle, Texas. 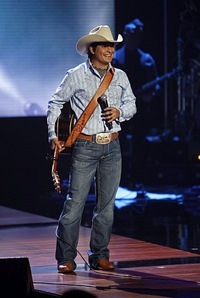 For more stories about the buzz in the country music industry about the potential of Hispanic artists and fans, read the new country music page on HispanicNashville.com. Nissan Americas opened its new headquarters south of Nashville yesterday, cementing the company's already significant role in the Hispanic identity of Music City. 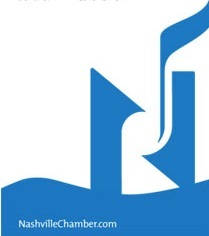 When the Japanese automaker announced its relocation to Middle Tennessee from California in 2005, Nashville city promoters found out that diversity in Tennessee was a top concern among employees considering whether to relocate (story here). 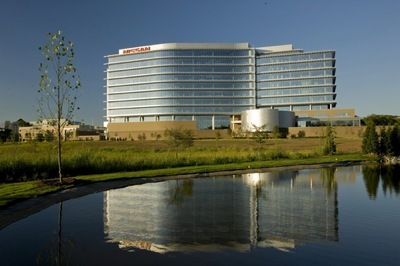 In June 2006, Nissan announced that it was "committed to pursuing and encouraging minority, women-owned, and local businesses to participate in the project" and invited a local Hispanic chamber of commerce to attend a Diversity Subcontractor and Vendor Project Informational Meeting (story here). In November 2006, Nissan launched a marketing campaign called Shift_musica, which was designed to attract Hispanic customers through music (story here). In March 2007, Nissan announced its newest Hispanic PR partner (story here), and in May 2006, Nissan launched a pan-regional Latin America media campaign with Fox Sports (story here). 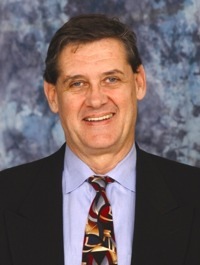 In December 2006, Dominique Thormann, Nissan senior vice president, discussed "Working Across Cultures in a Global Company" at Vanderbilt (story here). In July 2007, Nissan made a $35,000 contribution to the civil rights efforts of the National Council of La Raza (story here), and in September 2007 Stephanie Valdez Streaty, Sr. Manager of Philanthropy and Diversity Communications, announced a $50,000 donation to the Harding Place YMCA's Hispanic Achievers program (story here). 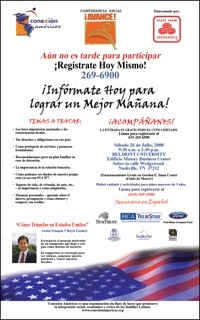 In May 2008, it was reported that Nissan joined the League of Latin American Citizens with a $25,000 donation and would also be supporting a scholarship program with Nashville-based Conexion Americas. (story here). To Nashville's newest "Hispanic neighbor" (even though you've been in your temporary HQ in downtown Nashville for a while now, so you're not so "new" anymore), we say welcome! The New York Times reported Sunday on the Berry Hill arrest and Davidson County incarceration of a visaless, pregnant Juana Villegas*, who gave birth while in custody. Villegas is a current resident of Nashville who has lived in the U.S. as far back as 1996** and is originally from Las Cajones, Guerrero, Mexico. Tim Chávez, the former Tennessean columnist who started his own blog Political Salsa in May of this year, brought local and national attention to the story of Villegas' arrest and, particularly, the restrictions over her and her baby during her incarceration. Chávez filed a complaint with Amnesty International and has promised to warn everyone he encounters outside the city not to visit Nashville, until state lawmakers step in (original post here). Most of the voices crying foul in and outside Nashville are calling into question the restrictions over Villegas' movements while in the late stages of labor and delivery, as well as her ability to be with her child - which have all been defended by the Sheriff's department as standard procedures regarding a pregnant woman in custody. The practice and the policy are being described by the growing list of critics as a human rights violation that far exceeds the boundaries of humane and reasonable conduct. Metro policy: citation, not arrest, with I.D. [I]t has long been our policy, as provided by Tennessee law, to issue arrest citations whenever possible. Officers have no choice but to make physical arrests in cases where the defendants cannot or will not offer satisfactory evidence of identification. Unlicensed persons who choose to drive without proof of identification will be arrested regardless of race or ethnicity. After Mrs. Villegas was taken to the Davidson County jail, a federal immigration agent working there as part of the cooperation agreement conducted a background check. 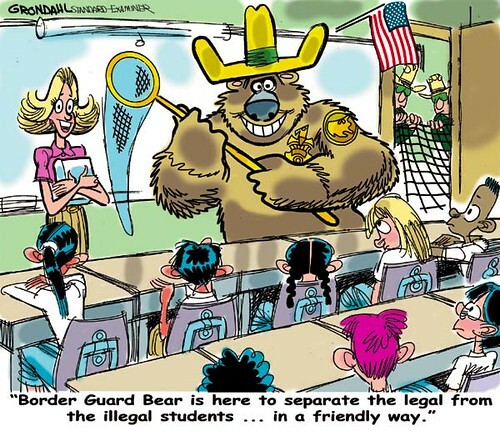 It showed that Mrs. Villegas was an illegal immigrant who had been deported once from the United States in March 1996, Karla Weikal, a spokeswoman for the county sheriff, said. She had no other criminal record. If Berry Hill officers are arresting people instead of giving them citations in the hope that their immigration status will be checked by the Davidson County Sheriff once in custody, that could be driven by racial profiling, which is illegal by statute in Tennessee as of this year. Reporting on this story has been too light to draw any real conclusions. One would want to know what the standards are for arrests in Berry Hill (a different police department from Serpas' department, even though both are inside the shared boundaries of Metro Nashville/Davidson County), and what information is available to Berry Hill officers on the street at the time the arrest-or-citation decision is made, and how that analysis was made in this case in particular. Temple Black, spokesman for ICE [formerly known as INS] in the Southeast, seems puzzled that Metro law enforcement would expend resources on busting undocumented workers who aren’t dangerous criminals. "What we are focused on is aggravated felons…. We don’t go down to the Shell Station and pick up [undocumented workers]." To my knowledge, we do not routinely jail those who jaywalk, litter, or trespass. At this time, mere presence without documents is not a crime, but is equivalent to a civil infraction like those listed above. Once we single out a portion of our population and determine that they are unworthy of basic human rights, it becomes easier and easier to justify. When asked about the program before its implementation in this interview with HispanicNashville.com, Sheriff Hall advised that even misdemeanors offenders who are only issued a citation would be run through the system, but he could not predict the numbers of ordinary immigrants vs. dangerous criminals who would be processed as part of 287(g). The number turned out to be 80% misdemeanors, 20% more serious violations (story here). Political Salsa: "Go to www.nytimes.com and read about the embarrassment brought to Metro Nashville by its sheriff, mayor and congressman"
Tiny Cat Pants: "One Last Things about Juana Villegas DeLaPaz"
Women's Health News: "New York Times Covers Treatment of Juana Villegas DeLaPaz"
NewsChannel5: "Police Claim Legitimate Arrest; Woman Clams Racial Profiling"
WKRN: "Hispanic woman claims racial discrimination"
Nashville Post: "Eager To Hit That 287(g) Pinata"
Nashville Post & Nashville City Paper: "School board candidate arresting officer in controversial 287(g) case"
Beyond Chron: "Out of Public Limelight, U.S. War on Immigrants Intensifies "
Blue Collar Muse: "Tim Chavez on Nashville’s 287g-estapo"
The Curvature: "Immigrant Woman Abused By Government While Giving Birth"
Daily Kos: "Woman Gives Birth Under Torture: Homeland Security Hell"
Dream Act Texas: "Juana Villegas Part IV"
Delaware Libertarian: "Is this where the debate over immigration has taken us--to complete dehumanization?" Latino Político: "Shackled Like An Animal During Labor"
National Immigrant Justice Center: "Detained immigrant woman shackled during labor"
National Latina Institute for Reproductive Health: "The Inhumane Treatment Towards Juana Villegas DeLaPaz (Nashville, TN)"
Our Bodies Ourselves: "Appalling Treatment of Jailed Pregnant Immigrant"
Standing FIRM: "Shackled While Giving Birth - Police Abuse 287(g)"
Vivir Latino: "Human Rights Abuses Against Pregnant Undocumented Workers"
*Due to the different rules for Latin American surnames and U.S. surnames, Villegas has also been identified by her mother's surname, de la Paz, so you will also see her identified as "Juana Villegas de la Paz" or "Juana Delapaz," depending on the U.S. source. 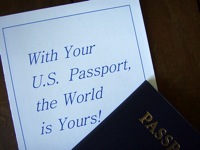 **The New York Times reported that Villegas has lived in the U.S. since 1996. Various sources have reported that Villegas was deported in 1996. It is not clear how long Villegas had been living in the U.S. before her 1996 deportation and how soon after her removal she returned. Joseline Vasquez, a 2-year-old child from Guatemala, is at Vanderbilt Children's Hospital recovering from surgery to remove a large tumor that had grown to the same size as her head. The surgery was funded by Brentwood-based Shalom Foundation, which has a video on its site featuring Dr. Stephen Goudy, who conducted the surgery. As discussed by Dr. Goudy, the Shalom Foundation is currently focusing its donations on Guatemala. Vanderbilt Children's Hospital International Services is blogging Joseline's visit here with both stories and a slide show. WKRN and NewsChannel5 have text and video reports here and here. A 2-year-old Guatemalan girl is recovering from surgery to remove a neck tumor at Monroe Carell Jr. Children's Hospital at Vanderbilt. Joseline Vasquez had a lymphatic malformation on her neck since birth. The mass has grown as much as she has as lymph fluid created a cyst on her neck. "Obviously these things are big water balloons or cysts and if she gets a cold the cyst can swell which could compress her breathing tube and swallowing tube, which could be life threatening," said Dr. Steven Goudy. Her surgery was funded by the Brentwood-based Shalom Foundation, which provides financial support and physical assistance for children and their families. 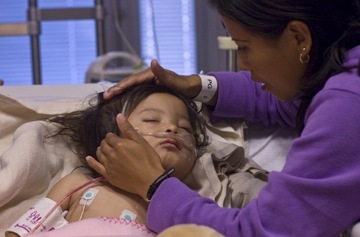 A team of doctors perform surgeries such as this on two to three foreign children each year. Yesterday, the State of Tennessee welcomed Volkswagen to the growing list of major automobile manufacturers located here (Saturn and Nissan also have major operations in the state), as the German automaker announced that it will locate one of its manufacturing operations in Chattanooga (story here). 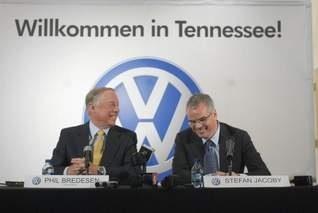 To communicate the cementing of the bond between Tennessee and the German company, a backdrop offering a welcome in the German language appeared behind Governor Phil Bredesen of Tennessee and Stefan Jacoby of Volkswagen Group of America. To greet Koreans in Korean as a non-Korean is always a sure fire way to elicit surprise and a bit of cultural cool points. It doesn’t matter how much I mangle the pronunciation or use the improper honorific or fail to conjugate the verb, it never fails to please at some level. Trying to speak someone’s language is a sign of respect... It indicates that you value them, or at least care enough to recognize that they are not altogether like you, and that this is a good thing. I am glad that the school board approved the new rezoning plan for Nashville public schools with a 5:4 vote. I am afraid, however, that most news reports have gone for the sensational angles in the story. I was present at the board meeting last Tuesday and was very impressed by the candor, common sense and professionalism of the five members that voted in favor of the rezoning. I feel confident that the current political will to change for the better is real. My two children attend public school in Nashville, and I have been involved with MNPS since 2005 as a parent and volunteer. I have had the opportunity to visit 26 schools in the system, and to speak with 17 principals and with – I estimate - three times as many teachers. I have attended at least 10 school board meetings and one regular membership meeting of MNEA. I have served as member of the PTO board of my children's school and have made a personal commitment to devote as much time as possible to make their school better every year. My simple conclusion is that the sooner rational change is introduced in the public school system, the more meaningful the improvements will be regardless of racial and socio-economical differences. I share the opinion that public education in Nashville is at a crossroads today; the status quo must be challenged every single day by every stakeholder. I want to believe that I am not the only parent that expects to see and hear courageous leaders that separate themselves from cosmetic or incremental changes and are willing to imagine, propose and execute radical solutions that transform our schools in the very short term. In exchange for that kind of leadership, many parents like me are willing to roll up our sleeves and walk the walk with plenty of trust in those who take the lead, even if plowing a new path is not 100% risk-free or 100% popular. What about the foul-crying about re-segregation? I took the time to read the proposal of the student re-assignment task force. I spoke with three of its members and with two members of the school board. Like any proposal for change, nobody was expecting the miracle of unquestioned support of it. Unanimity is not a condition for democracy, nor victimology of a group the justification for opposition and distrust. We should respect the outcome of the vote by the board and decry the collateral politicking, posturing and litigiousness, all three responses simply counterproductive. My other simple conclusion is that we live in a Nashville that not only is different than the one of 50 years ago, but is also populated by a new generation of adults that will never go back to a time of racism or corruption. I feel optimistic because a growing number of parents is realizing that change begins at home, continues at our children's schools and requires our civic participation in every election. Not two households are the same, not two schools are identical, and we have very different candidates running for school board posts next month. Let's continue our engagement at all three levels and demand equitable conditions throughout MNPS independently from how we may understand or perceive this or any future rezoning plan. TIRRC has won one of the 2008 National Council of La Raza/Ford Motor Company Affiliate of the Year Awards. Due in large part to the efforts of TIRRC and its allies on Capitol Hill, Tennessee was the only southern state that didn't pass anti-immigrant legislation this year (more here). TIRRC's Welcoming Tennessee Initiative is the model for similar initiatives in 13 other states, including Welcoming Massachusetts and Welcoming Idaho, and also a newly formed Welcoming America initiative. Congratulations to David Lubell, the outgoing executive director of TIRRC, and Stephen Fotopulos, the incoming executive director. Congratulations also to honorees Bill Purcell and Johnny Hayes. All were recognized for their significant contributions to TIRRC and for helping ensure that Tennessee is a place where newcomers are welcome. Tim Chávez also posts about the event here. Chávez repeats Charles Bone's comment from the podium that among the 500+ present, around 200 were hearing about TIRRC for the first time, having come specifically to support honoree Johnny Hayes. Last night's episode of Nashville Star Season 6 saw contestant Gabe Garcia survive another week, putting him among the top 6 of 12 finalists. By making it this far, Garcia has passed Melanie Torres' seventh-place finish in Season Four. Gabe Garcia is safe and will be singing Keith Urban's “Somebody Like You.” He apparently took dance lessons so that he could loosen up more on stage. He sings well but still lacks stage charisma, in my opinion. The audience and judges loved him though. Also, Gabe has created this new Facebook page for his fans. The Sunday before July 4, Covenant Presbyterian put on a 2-hour choral and orchestral Independence Day celebration, including some typical patriotic songs (1812 Overture, Lee Greenwood, etc.) and some atypical ones, as well, including "Sound of Music" and "Harrigan." The latter, by George M. Cohan, is an Irish-and-proud-of-it theme that reminds us, in the words of Schoolhouse Rock's "Great American Melting Pot,"
The Covenant Pres concert doubled as a final performance for retiring choir director Tom Ashcraft, who can be forgiven for not including my generation's Saturday morning cartoon ballad in the program. That, and the theme from Superman. If you're going to include snippets from the Sound of Music in an Independence Day medley, you might as well throw in the triumphant procession of the Man of Steel's soundtrack. Who is the man who will spend or will even lend? Who is your friend when you find that you need a friend? As an Emperor, Czar or a King, could be. Who is the man helps a man every time he can? Proud of all the Irish blood that's in me; Divil a man can say a word agin me. Is a name that a shame never has been connected with, Harrigan, That's me! Who is the man never stood for a gad about? Who is the man that the town's simply mad about? I'm fond of them, too, in return, you see. Who is the gent that's deserving a monument? Anthropologist Tom D. Dillehay's book Monuments, Empires and Resistance has received the Society of American Archaeology's highest book award for 2008. In the book, Dillehay, who is the Distinguished Professor of Anthropology at Vanderbilt University, examines the methods that the Araucanian people of southern Chile used to resist Spanish dominance for more than 300 years. In 1550, when the Conquistador Pedro de Valdivia attempted to conquer southern Chile, he ran into stiff opposition from the scattered population of the Araucanians who had successfully resisted Incan conquest. Before disease and fighting reduced their numbers, the Araucanians earned the nickname of the Apache of South America by defeating Valdivia and his followers and nearly capturing Santiago. Subsequently, the Spanish pushed the resisters into a forest region south of the Bio-Bio River, which remained the boundary between the two peoples for three centuries. 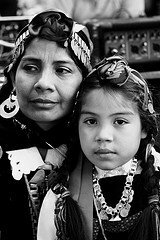 It wasn't until the late 1800's that the Chilean army defeated the Araucanians and settled them on reservations farther to the south. Dillehay's book draws on 30 years of anthropological, archaeological and archival research to investigate the manner in which the Araucanians successfully resisted the Spanish and actually flourished in the process, including their use of sacred monuments to help form widespread alliances and adoption of the use of horses in battle. Image credit: Patricio Valenzuela. Licensed under Creative Commons.